(FNEL/Luxembourg) – Members of the Fédération des Eclaireurs et Eclaireuses du Luxembourg (FNEL), one of the two National Scout Associations in the Grand Duchy, were very proud when the election results for the presidency of the Parliamentary Assembly of the Council of Europe became known late last month: Mme Anne Brasseur, an active member of the association since her early childhood, was elected to preside the Parliamentary Assembly for the next twelve months, with a possibility to be re-elected for a second term. After her election Mme Brasseur told the media that she was “very proud and honoured today to take over the responsibility as president of this Assembly, whose 318 parliamentarians represent 47 countries across Europe and their 820 million inhabitants”. She added, in her native Luxemburgish, that she was conscious of the challenges and high responsibilities, which were linked to her new position. The new President, only the second female and the first from Luxemburg since 1949, looks back on a career of more than twenty years as Member of Parliament in Luxembourg, where she, among many other things, helped initiate and later presided the “Groupe interparlementaire du Scoutisme”, which is a network of elected members of local and national assemblies in the Grand Duchy. FNEL – Once a Scout – always a Scout: in the Scout Movement you meet a lot of like-minded people from many different countries and you learn to be part of a team, gradually taking over more responsibilities. In this sense, Scouting is a school for life. Is this a true statement for you? Anne Brasseur – I have no doubt: yes! In fact, I might be a good living example. FNEL – How come you joined the Scout Movement? Anne Brasseur – As a young girl, I was an active Scout for more than ten years in the late 1950s and early 1960s and I have remained involved with FNEL ever since. In joining the Movement, I followed my family’s tradition, as my mother had been the first Cub Scout Leader in our local group, later serving as FNEL’s Cub Scout Commissioner. My father and my brothers were also active Scouts, with Paul later serving as International Commissioner. FNEL – Do you have any particular memories? 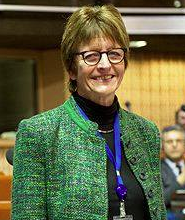 Anne Brasseur – I am grateful to this day for everything I discovered and learnt in the Scout Movement, for the inspiration demonstrated by our Leaders and Commissioners and for the lasting friendship with my fellow Scouts. I have fond memories of my first and many further Scout Camps, of my Woodbadge Training in Belgium and I would not want to miss the friendship and collaborative work in the different Leader teams I was part of. FNEL – What were important learning experiences? 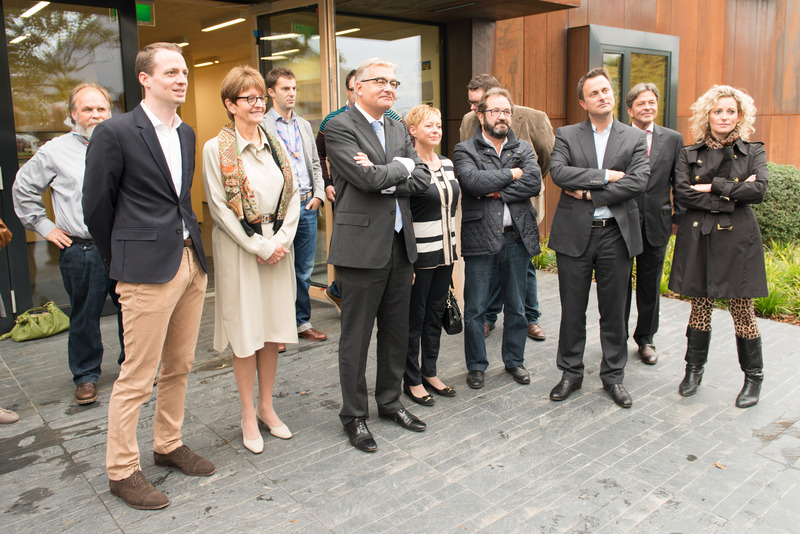 Anne Brasseur – In practical terms, setting targets and reaching them together as a team was an important experience. And more fundamentally – and mostly without us realising this as young Scouts – the transmission and living of a set of values, like mutual respect and tolerance or the respect and conservation of nature’s beauty. Equally important was the learning of taking over of responsibilities not just within the local Scout Group, but gradually also within the national Movement and later outside in my community and country. In those days it was not yet called “citizenship education” but that’s what it was and it no doubt played an important role in my political career. FNEL – What would be different had you not joined the Scout Movement? Anne Brasseur – I guess I would never have had the opportunity to meet and befriend so many likeminded people nor would I probably have been able to live and transmit a number of important values in my professional and daily routine. Who knows, maybe I would never have entered politics. FNEL – Is today’s Scout Movement different from what it was or stood for when you were young? Anne Brasseur – To its benefit the Scout Movement in our country and its educational and programme offers are a lot more diversified today than fifty years ago. I am particularly proud of the Movement’s engagement in development projects with partner associations in less developed areas of the world. The European Region of WOSM joins FNEL and all Scouts in Luxembourg and wishes Anne Brasseur all the best in her new role!